As much as they try to screw us at every possible turn, airlines are a necessary evil if you wanna get to your destination in a relatively short amount of time. That said, though, some carriers actually deliver on the high quality services they promise, and in recognition of these exemplary airlines, Skytrax has announced the winners of its World Airline Awards for 2015. This year's awards compiled the results of 18.89 million customer surveys, which rated airlines on everything from cabin cleanliness and onboard seat comfort to in-flight food and staff friendliness. 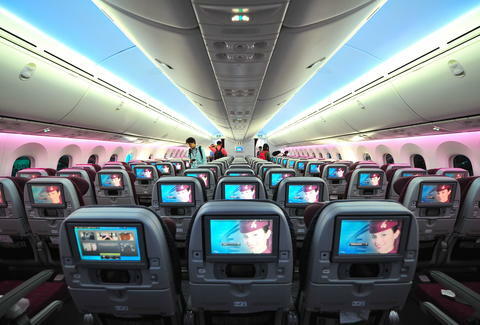 The result: Qatar Airways stole the no.1 spot for 2015, while Singapore Airlines took second and Cathay Pacific Airways landed safely in third place. Basically, state-owned airlines stole the show -- which, since this is a worldwide ranking, should surprise absolutely no one. Meanwhile, not a single US airline managed to make the top 10, or even the top 25, for that matter: Virgin America ranked the highest of the US carriers, skidding in on its belly at 26th.